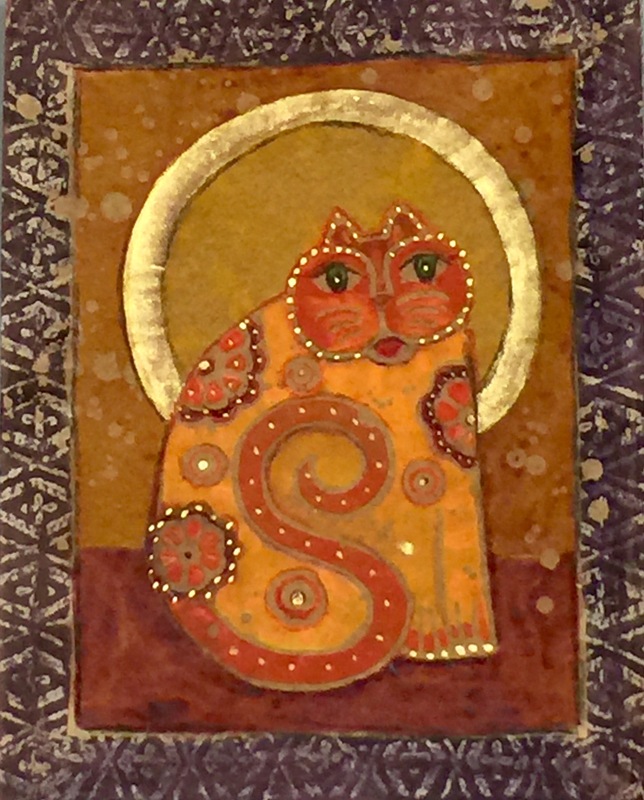 Wondering what techniques I used to create this is? 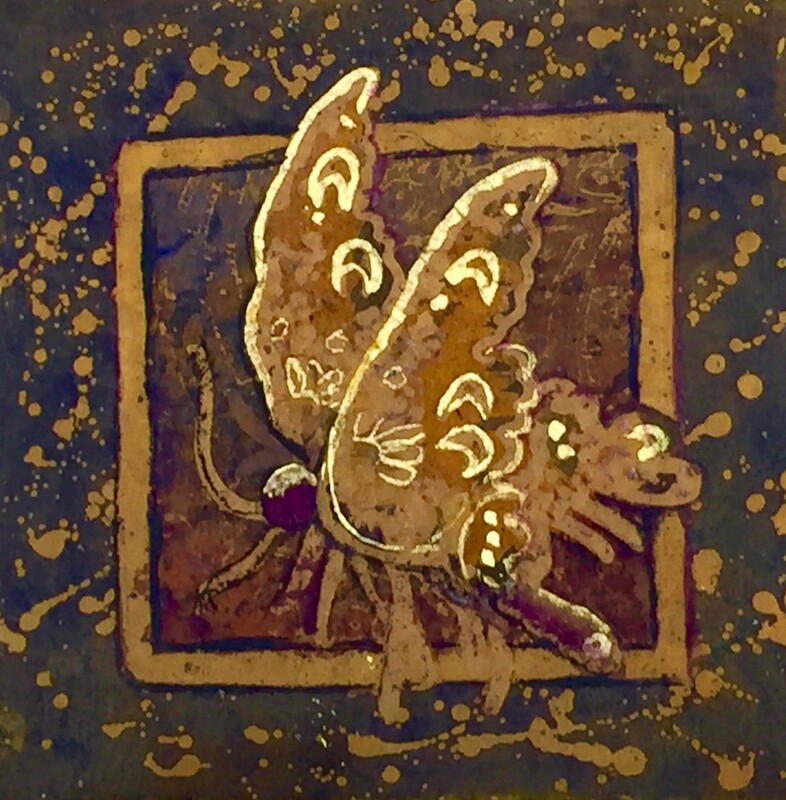 Wax was used on brown craft paper applied in multiple layers to create this painting of a butterfly. The drips and random color dribbles are a classic “batik-effect”. I’m here to tell you all about it today. But I need to back up a little before I get started. 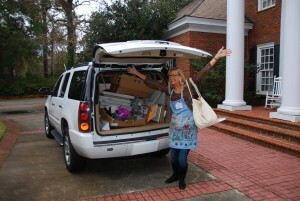 Moving away from home into the studio…positive thinking and lots of heavy lifting! Not only am I operating out of a new studio, but I have a new infatuation: BATIK! 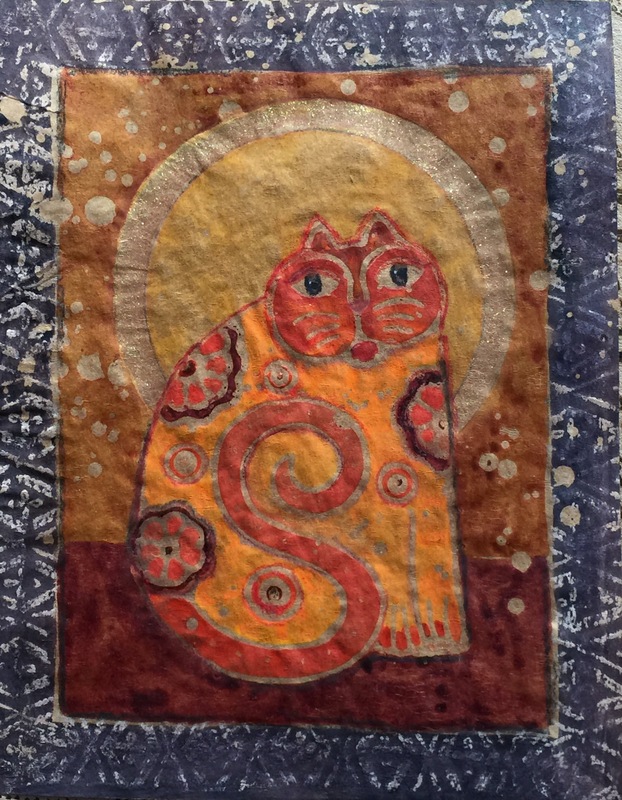 As my students are aware, I’ve become fascinated with Batik techniques. Batik???? What is it? Generally, it’s a method of using wax as a means of resisting pigments from adhering to fabrics in textile manufacturing. However in my case, I’m using wax to prevent paint and water from penetrating the paper we use in watercolor. 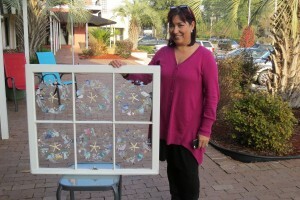 It allows me to paint with freedom, which is always a joy! I also love the random unexpectedness of the results. My recent lessons in this realm have included a few ideas inspired by Kathie George and then a whole lot of small paintings born of just fooling around (after all that’s what I’m best at 😉 As you can see on the table from the studio, I’ve ended up with a lot of ideas to share…and this is not even ¼ of my stack of starts! 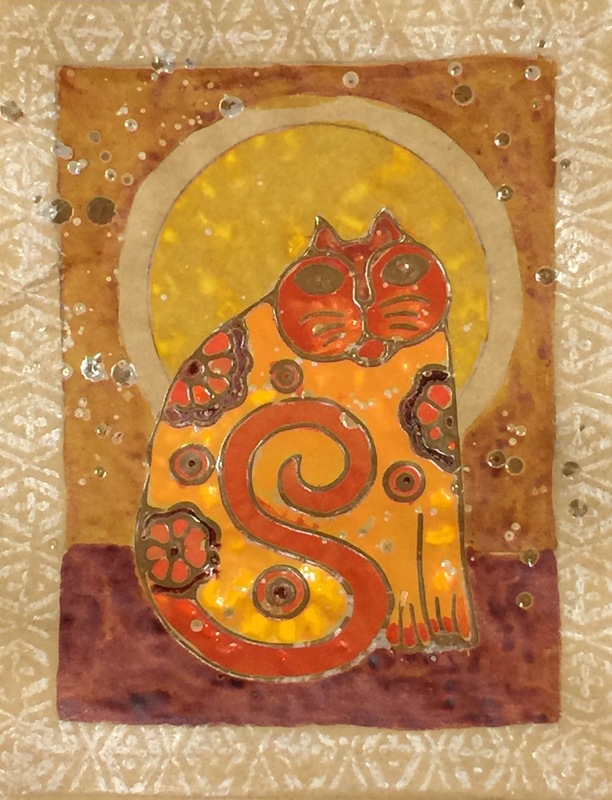 A few of the new batik inspired lessons available to paint in class! As I mentioned, I fool around a lot (but mostly in the studio- lol). I’m encouraged to do so by the fact that in playing around, I often find a magical place of inspiration that doesn’t involve perspiration. That’s when the magic happens! I’ve had fellow artists sometimes criticize my adventurousness. They’ve told me I need to settle down and create a brand that is recognizable. Perhaps they’re right…having a brand is helpful if the goal is primarily to sell your work. But that’s never been why I paint. I paint in order to make my heart soar! I paint in ways that I find fascinating. 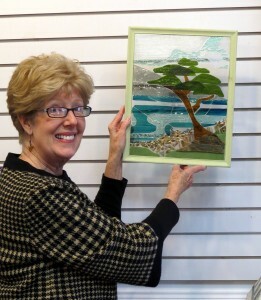 Feeling buoyant as an artist, is a great way of describing what I’m seeking when I paint. Stagnating is not what I plan to do! I plan to continue learning, exploring, and taking what I know and building upon it. God willing, I hope to share what I know with my students, and hopefully help them experience the joys I’ve been able to experience. Maybe, hanging out with me might push them to try something and feel that excitement along with me. If you have a new technique that’s putting wind in your sails, then I’d love to hear about it! Leave your comments below and I’ll be glad to check it out and begin a conversation. If you’re curious to learn more about wax and watercolor, or interested in learning more about painting in general, you should come take a class with me in the new studio! The weather is probably keeping you indoors anyway, so why not get out and do something fabulous and fun?! 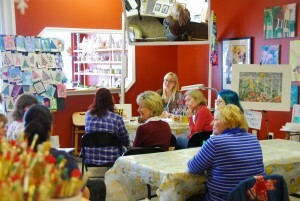 Watercolor Wednesdays: Time 1-4PM Cost $25 Materials available for $5 per class. Class concentrates on exp!oring watercolor techniques with independent projects welcomed. Lessons/demos/gentle critique every class. Saturday Sessions: Time 1-4PM Cost $25 Materials available for $5 per class. Classes will cover various media. Independent projects welcomed in various media, with lessons/demos/gentle critique every class. Coming soon: Exp!ore Mosaic on Glass- Time 5-7 PM Wednesdays for 5 weeks beginning 1-27-16. This class is forming and we’d love to have you join us next week! 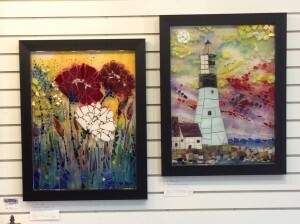 Learn how to make beautiful luminous glass mosaics like these…I’ll show you how! Cost $125 for 5 weeks. Materials available for an extra fee. Register today and get the complete material list. That’s all for now, but stay tuned for all the fun plans we have on tap…mosaics on glass, traveling to Italy on my EAT PAINT COOK TOUR of Tuscany 2016, Workshops with fantastic Nationally known instructors Steve Rogers and Karlyn Holman. And then there’s my new classes each week! PS- Here’s that John Singer Sargent video I promised earlier in my post. It shows how John Singer Sargent used cold wax in combination with his watercolors to create textured effects. I shot the video at the Brooklyn Museum of Arts exhibition of a large collection of Sargent’s watercolors. It shows the technique very well. Enjoy!